Your guests will be so excited for your daughter’s special day when they receive this fun and festive Bat Mitzvah invitation! Digitally printed on both sides of 110# white glossy single card stock, this invitation features multi-color neon bubbles against an almost-black background will surround your wording details on three sides. Your guests will be so excited for your daughter’s special day when they receive this fun and festive Bat Mitzvah invitation! 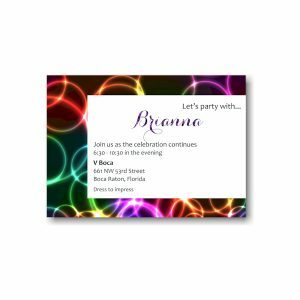 Digitally printed on both sides of 110# white glossy single card stock, this invitation features multi-color neon bubbles against an almost-black background. As a result, the design will surround your wording details on three sides. 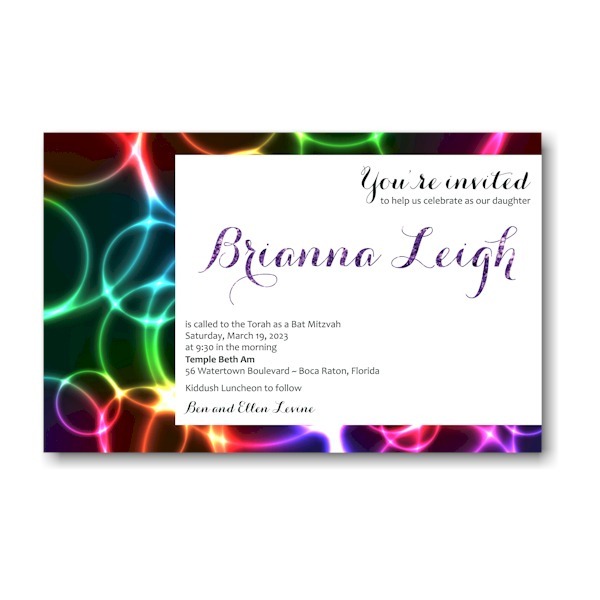 Your wording will be artfully arranged as shown, and extra emphasis will be placed on your daughter’s name by incorporating a faux purple glitter effect to the lettering. 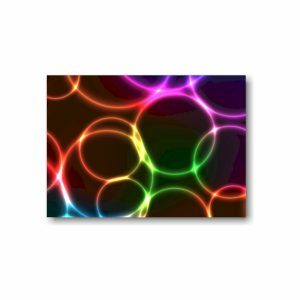 Measures 8-1/2″ wide by 5-1/2″ high. 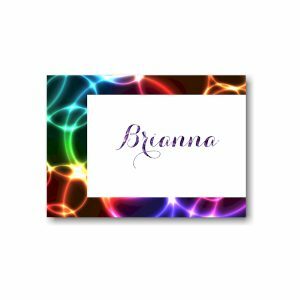 Sample is displayed with Black/faux Purple Glitter inks and combination lettering styles Candara Regular (body copy) and Carolyna Pro Black (script). The Reception and Response enclosures will print on matching single card stock and the Informal notes and Thank You notes will print on white glossy folder stock. 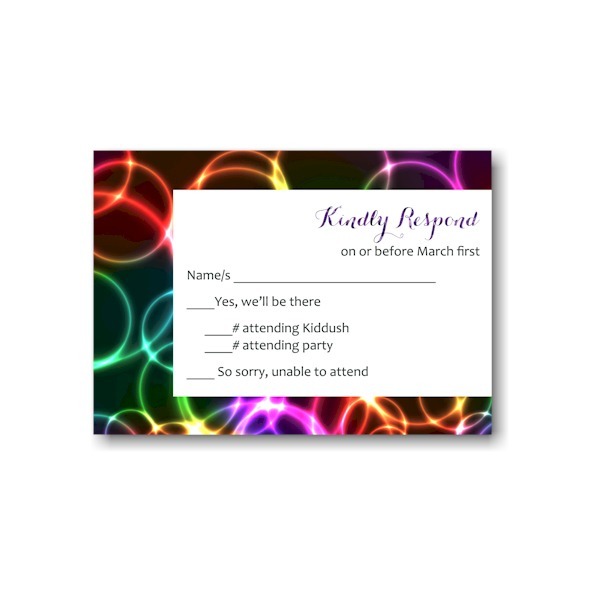 This Bat Mitzvah invitation comes with blank, single bright white envelopes. 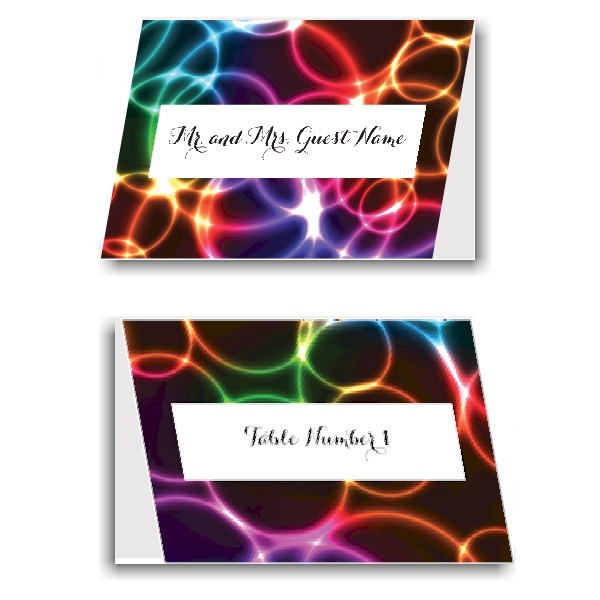 Your event won't be complete with out matching place cards! 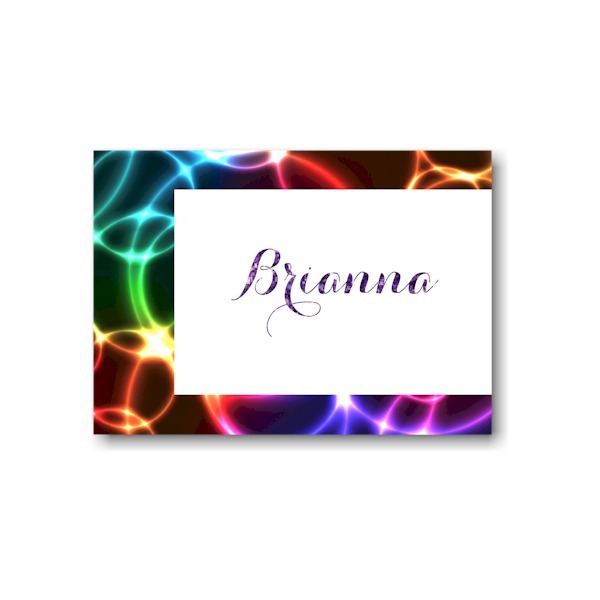 These place cards will be personalized with the guest's name on the front and their table number on the back. Inside will be blank. Measures 3-1/2" wide by 2-1/2" high when folded. White glossy stock.